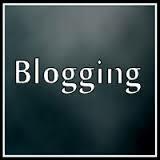 As we all know that managing a blog or handling it is quite difficult. Create an website/blog is easy but to maintain it for long time is difficult. It needs lots of hard work, time and luck. If you are a student than it is difficult to manage your blog during exams. In this post I would like to share some interesting fact how you can update/manage your website or blog easily. Below i would like to share some top tips to manage your blog during your busy schedule. Have a look! As we all know that if you want that your site work properly and always being popular among audience than you have to manage your site that works 24 hours. Make sure your blog is activated 24 hours. Only a proper and well maintained blog is leading on web. People always look for a trendy topic and fresh news. So try to keep your website update regularly. Your blog or site have a proper design template, otherwise it doesn’t look cool! So try to adopt an proper designer template for your website or blog. Only a amazing and creating blogger template will grow among audience, also make ensure that your template have low loading time. Make sure you have create an other backup storage folder where you store your all articles which you have been update on your blog. If by chance you have find any error on updating your article, than you can immediately check your extra copy which you have store in your backup area. Whenever you writes an article for your blog, always make a important notes related to your post. Keynotes help you to give a proper definition to your article. Whenever you are searching on web always try to find the proper keywords and make a list of keynotes that helping you to write an proper article. Time management is the best tip if you want a success. Always make a proper use of time because a time will give everything and also it will destroy everything. So respect time and it will respect you. Try to make a proper time management and divide your time schedule. It is a design best practice and eases website maintenance, if you put all your images in a sub-folder. This sub-folder is called images and it is located in the root directory. So it is best way to store your images on one place/folder. 7) Proper Knowledge of Whatever You Writes! Whenever you write anything for your blog, you have to make a proper list of notes which you have include in your post. Do not write on that topic in which you don’t have proper knowledge. As we all know that little knowledge is harmful. So make sure you have proper researched on the topic which you are going to write on your site. Always look for the best thing. Because now a days only a best and quality thing will survive for long time. So if you want that your blog will grow fast and fast on web than you have to adopt the things which i mentioned above. Always writes on latest info, do not copy from another site or blog. According to Google, quality matters a lot. Make sure that your site or blog having low loading time. Do not make that template for your blog which having high loading time because it will distracts your readers and visitors. If your site takes much time to open than it lack the interest of your reader and your visitors will turn off from your blog, and your site will suffer for that. Your readers will go away from your blog/website immediately if the links on the website are broken or if they produce error messages. When you list your website on the web you become responsible for making sure its links work by correcting them.